These screws have the smallest head and are the easiest to insert. They are the best in the world for attaching stair parts. This patented system gives you a squeak free, extremely strong and remarkably easy fastener. These are a must for attaching stair treads and risers to the undercarriage of your home. 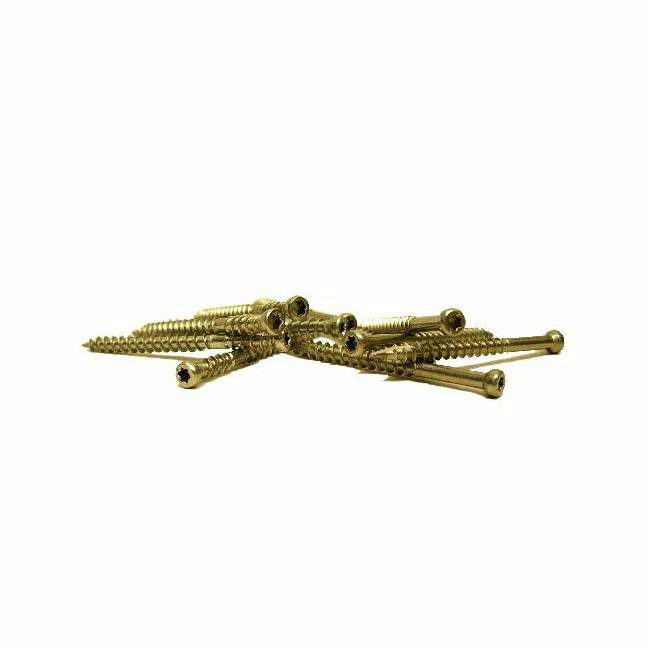 These screws are also strong enough for attaching handrails to newel posts, rosettes, fittings and many other applications. These require almost zero force once the screw is started because of the “W” cut and the drilling point. Choose 6 or more per tread. Pre-drilling is only necessary in prefinished product or exotic species treads. 2″ and 2 1/2″ Trim Screws come in packs of 100 whereas 4″ and 5″ Trim Screws come in packs of 50. Packages of 50 and 100 come with a free driver. What is the recommended hole to pre-drill for exotic species? Eric, thanks for the question. The screws are about 1/8″ so you might try a 3/32″ or even a 1/16″ pre-drill. Are the screws available in black or just gold color. Thanks for the question Amy. These screws only come in the one color, but they have very small heads that will bury themselves in the wood so you can cover with wood putty. I will be attaching my hand rail and foot rail to my newell posts. 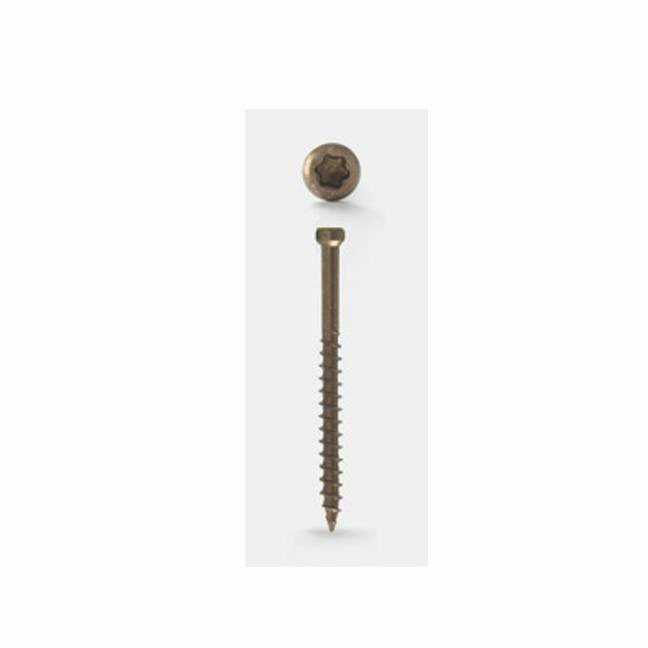 Do you have a recommendation on length of screws? All pieces are white oak, will I need to pre drill? I’m assuming I shouldn’t use the holes made by the old finish nails that I pulled through. I’m rebuilding a railing around my stairwell opening that was removed many years ago by the previous owner. Thankfully, he saved all of the parts. Thanks for the question Paul. We actually recommend using our Rail Bolt (https://www.stairsupplies.com/product/s-9600-rail-bolt-kit/) for situations like that. What driver is required for these screws? You would need a T-10 or a T-15 driver, depending on the size of the screw you order. We sell them on our website at https://www.stairsupplies.com/product/trim-screw-driver/.